“You are never given a wish without also being given the power to make it come true. You may have to work for it, however. Eight years, 200+ projects, and $8,000 of direct cash donations, 2015 marks our 8th Annual Making a Difference issue and I am full of hope. 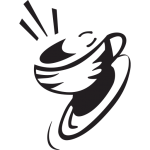 Each year CoffeeTalk invites coffee industry members to promote charitable projects by submitting information for a full-page profile. We edit and publish this annual guide to share with tens of thousands of industry readers globally. Three months later, we use web analytics to determine the project with the highest number of views and click-thru rate, and directly donate $1,000 to the winning project. Please, take a moment out of your busy day to explore the amazing work being done around our planet and then an extra moment to SHARE this link with your clients, coffee friends, and social media. Remember, the project with the most views will receive $1000 this fall.